This is my legal view published in Forbes Indonesia magazine in July 2016. 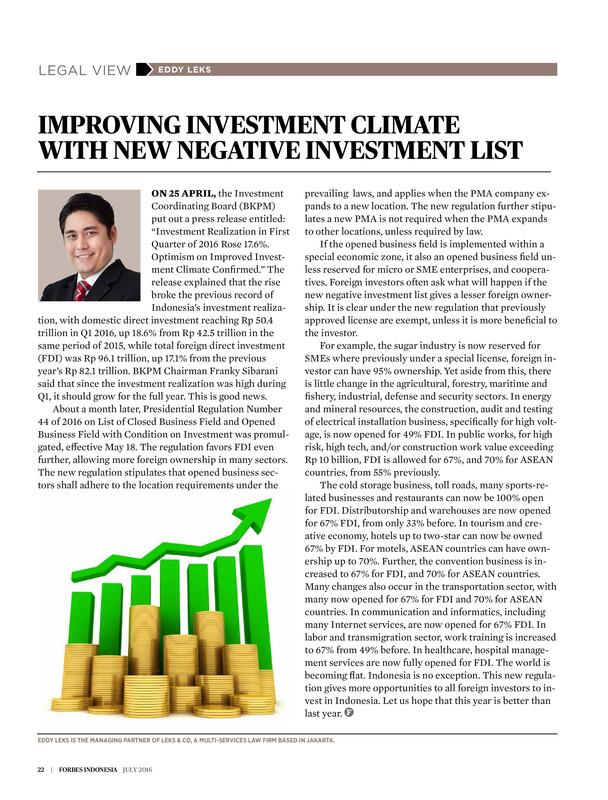 This column describes the new negative investment list promulgated in May 2016, its changes, and its impact to foreign investment. The new regulation confirms that the previously-issued licenses will not be affected unless it is more beneficial to investors. The column also explains that the Chairman of BKPM is optimist with Indonesia's economic growth for this year since the investment realization in Q1 was high. This is good news for all investors.